Shabtai Rosenne is the 93 year-old Israeli appointee to the panel investigating the IDF’s attack on the Gaza flotilla last month. He has had a distinguished career as an scholar specializing in international law and in the diplomatic corps. I’ve written here about the ludicrousness of placing a nonagenarian in such a key position on such a sensitive political body. But Nahum Barnea published a new charge against Rozen that strengthens my argument. In 1953, there were repeated cross-border attacks from Israel and Jordan on each other’s territory in which citizens of both countries were killed. Some attacks were carried out by military forces and some by irregular forces attempting to take vengeance on the other side for the losses of the 1948 War. Finally fed up with this violence, David Ben Gurion, Israel’s prime minister resolved to strike a savage blow against a Jordanian target that would end the guerilla attacks once and for all. Ben Gurion and his defense minister, the notorious Pinhas Lavon, planned the attack on the West Bank village of Qibya without notifying the rest of the cabinet. 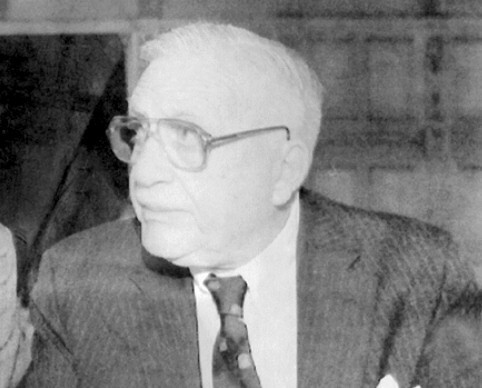 Foreign minister Moshe Sharett was informed in general terms though given no specifics about the exact nature of the attack. During an all-day assault, Israeli forces under the command of Ariel Sharon, destroyed 41 buildings in the village including the school. Many homes were dynamited with the residents still within them. 60 residents were killed. The response by the international community was, much like the Gaza flotilla incident, pure outrage. In the aftermath of the bloodbath and the ensuing furor, the IDF turned to the foreign ministry to devise a way to mitigate the damage to Israel’s reputation. None deplores it more than the Government of Israel, if … innocent blood was spilled … The Government of Israel rejects with all vigor the absurd and fantastic allegation that 600 men of the IDF took part in the action … We have carried out a searching investigation and it is clear beyond doubt that not a single army unit was absent from its base on the night of the attack on Qibya. We can see that the lies of current Israeli governments find their paternity in one of the august founders of the modern state. Sharett further notes that at a strategy meeting, Shabtai Rosenne, one of his senior advisors, suggested that in order to make Ben Gurion’s claim credible that Israel should pass a law enabling it to collectively punish the border settlements for their alleged misdeeds. Sharett was aghast. He didn’t believe the world would buy the original claim that the army wasn’t involved. He thought Rozen’s further subterfuge was an insult to the world’s intelligence. Sharett was angered. He hadn’t expected those advisers closest to him would lend themselves to such a fabrication which no one in the world would believe. So 57 years ago Shabtai Rosenne prepared lies on behalf of a state which had committed war crimes against Palestinian civilians. Today, he is called upon again to defend Israeli soldiers who killed in cold blood. Plus ca change, plus la meme chose. But this time, we know Rosenne’s past and raise it to discredit the proceedings of this farce of an inquiry endorsed so heartily by Barack Obama and Bibi Netanyahu. A former Australian ambassador to Israel has accused the Prime Minister, Julia Gillard, of being silent on the ”excesses” of Israel and questioned why her partner has been given a job by a prominent Israel lobbyist. In a letter to the Herald, Ross Burns, who served as an ambassador between 2001 and 2003, said Ms Gillard has been ”remarkably taciturn on the excesses of Israeli actions in the past two years”. In 2003, an untenured professor at DePaul University named Norman Finkelstein accused Dershowitz of plagiarism. Dean Kagan ordered an investigation the following year. The investigation completely cleared Dershowitz, concluding that no plagiarism had occurred. Harvard is the nation’s most prestigious institution of higher learning, so its vindication of Dershowitz was widely perceived as definitive. Armed with that vindication, Dershowitz relentlessly attacked Finkelstein in letters to DePaul faculty and every available media outlet. Those attacks would likely have been dismissed as sour grapes if the Kagan-ordered investigation had come out the other way. My independent research later revealed, however, that Dershowitz did in fact commit plagiarism and that no honest and competent investigation could have missed it. The University of California Press (and CounterPunch) published my findings in 2008, but by then it was too late. Dershowitz and his official exoneration by Harvard had already killed his tenure application, and effectively ended his academic career. One reason the whole episode is so mystifying is that, from the start, the case against Dershowitz seemed to be supported by powerful evidence. Finkelstein argued that Dershowitz’s book The Case for Israel contained obvious errors that were identical to errors in an earlier book by a different author, so Dershowitz must have just copied that author’s work, errors and all. Finkelstein explained the point in detail in an exchange with Dershowitz that was published in The Harvard Crimson in October 2003. The identical errors issue was consequently well known and central to the plagiarism dispute when Kagan ordered an investigation in 2004. But the Kagan-commissioned investigation still concluded that no plagiarism had occurred. What happened? Were there really no identical errors after all? I decided to check for myself, and I quickly discovered enough identical errors to prove the plagiarism charge against Dershowitz beyond any reasonable doubt. I looked at one of the passages identified by Finkelstein, a long quotation from Mark Twain, and found that Dershowitz’s version of the quotation and the version in the book Dershowitz was accused of plagiarizing contained 20 identical errors in a mere 21 lines of text. Some of the errors were large (such as the omission of 87 pages of text without an ellipsis) and some were small (such as altered or missing words or punctuation), but the cumulative weight of the evidence was overwhelming. There was no way Dershowitz could have independently generated exactly those 20 errors—he must have copied them. It was an open-and-shut case. So what exactly did the Kagan-commissioned investigation look at? Did it address the identical errors issue? (I put that question to the Harvard Law School administration myself when Kagan was still dean, but they refused to answer.) If not, why not? Did the investigation not even go so far as to read Harvard’s own student paper, in which the identical errors point had been raised? And now that the truth has come out, does Kagan (or anyone else at Harvard) have anything they’d like to say to Finkelstein, the innocent man whose career was ruined? To date, Kagan and Harvard have remained resolutely silent. Granted, these questions might seem of limited significance for Kagan’s Supreme Court nomination. The answers will not tell us what she thinks about originalism or abortion or the scope of federal executive power. But they are still relevant, because they will shed light on something equally important. In the end, all of us will be forced to assess Kagan on the basis of what we make of her character, because the written record of her judicial philosophy is so sparse. We consequently have no choice but to cast about for evidence that she has a good heart, a genuine commitment to justice. Her answers to questions about the Dershowitz-Finkelstein affair might reassure us that she does. But continuing silence would give us reason to be skeptical. MI5 and MI6 have been ordered by a High Court judge to release secret guidelines which human rights groups claim instructed spies to turn a blind eye to the torture of British terror suspects abroad. The guidelines will be released to six British former Guantanamo Bay detainees who are suing the Government for allegedly being complicit in their torture by the Americans. The guidelines were issued to agents in 2002 and 2004. ‘We believe they will reveal a policy of complicity to torture, which explains all these cases over the years of MI5 agents knowing a Briton is being tortured but doing nothing about it,’ said Katherine O’Shea of Reprieve, a charity which has given legal help to former Guantanamo Bay detainees. The release is likely to damage David Miliband, the front-runner to become Labour leader. As Foreign Secretary, he told Parliament that the Government was never complicit in the torture of Britons abroad. In February, the High Court overruled Mr Miliband’s attempt to stop former Guantanamo detainee Binyam Mohamed, 31, seeing a CIA document which showed MI5 knew he was being tortured. Mr Miliband argued the release would jeopardise intelligence-sharing accords between Britain and America which would damage the national interest. Mr Mohamed is a claimant in the latest case with Bisher Al Rawi, 49, Jamil El Banna, 58, Richard Belmar, 30, Omar Deghayes, 40, and Martin Mubanga, 37. All six claim that during their detention they were questioned by British agents who not only knew they were being tortured, they also supplied further questions for interrogators. Even if publication is blocked, advocates can still read the documents and give the six an outline of what they contain. On September 11, 2001, George Bush changed the way Americans look at the world and the success with which he accomplished this feat is evident in the fact that his perspective largely remains unchallenged — even among many of his most outspoken critics. Bush’s simplistic for-us-or-against-us formula was transparently emotive yet utterly effective. For almost a decade, Americans have been told to look at the world through the lens of “terrorism” and while differences of opinion exist about whether the lens has too wide or narrow an angle or about the extent to which it brings things into focus, those of us who say the lens is so deeply flawed that it should be scrapped, remain in a minority. The Obama administration may now refrain from using the term itself, preferring instead “violent extremists,” but the change is merely cosmetic (as are so many other “changes” in the seamless continuity between the Bush- and post-Bush eras). As Weiss notes, Livni’s parents belonged to the Irgun, the Zionist group which blew up the King David Hotel in Jerusalem on July 22, 1946, killing 91 and injuring 46. The first public account of what had happened that day was accidentally released in advance of the bombing. 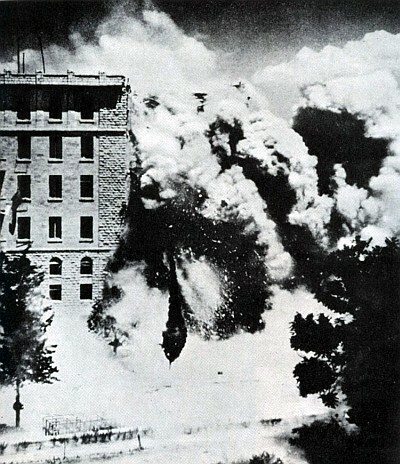 “Jewish terrorists have just blown up the King David Hotel!” This short message was received by the London Bureau of United Press International (UPI) shortly after noon, Palestine time. It was signed by a UPI stringer in Palestine who was also a secret member of the Irgun. The stringer had learned about Operation Chick but did not know it had been postponed for an hour. Hoping to scoop his colleagues, he had filed a report minutes before 11.00. A British censor had routinely stamped his cable without reading it. The UPI London Bureau chief thought the message too terse. There were not enough details. He decided against putting it on the agency’s wire for radio and press until receiving further confirmation that the hotel had been destroyed. Despite the efforts of Irgun leaders to restrict knowledge of the target and timing of Operation Chick, there were numerous other leaks. Leaders in both the Haganah and Stern Gang knew about the operation. Friends warned friends. The King David had an extraordinary number of last-minute room cancellations. In the Secretariat [the King David’s south wing that housed the headquarters of the British government in Palestine], more than the usual number of Jewish typists and clerks called in sick. It’s hardly surprising then that many observers with an interest in justice for Palestinians take offense at the New York Times’ complicity in papering over the reality of Jewish terrorism. Yet here’s the irony: the effort to promote an unbiased use of the term “terrorism” simply plays into the hands of the Israelis. The word has only one purpose: to forestall consideration of the political motivation for acts of violence. Invoke the word with the utmost gravity and then you can use your moral indignation and outrage to smother intelligent analysis. Terrorists do what they do because they are in the terrorism business — it’s in their blood. So, when Tzipi Livni calls her parents freedom fighters, I have no problem with that — she is alluding to what they believed they were fighting for rather than the methods they employed. Moreover, by calling people who planted bombs and blew up civilians in the pursuit of their political goals, “freedom fighters,” Livni makes it clear that she understands that “terrorism” is a subjective term employed for an effect. When Ehud Barak a few years ago acknowledged that had he been raised a Palestinian he too would have joined one of the so-called terrorist organizations, he was not describing an extraordinary epiphany he had gone through in recognizing the plight of the Palestinians. He was merely being candid about parallels between groups such as the Irgun and Hamas — parallels that many Israelis see but less often voice. The big issue is not whether the methods employed by Zionist groups such as the Irgun could be justified but whether the political goals these groups were fighting for were legitimate. Zionism would not have acquired more legitimacy if it had simply found non-violent means through which it could accomplish its goal of driving much of the non-Jewish population out of Palestine. We live in an era in which “terrorism” — as a phenomenon to be opposed — has become the primary bulwark through which Zionism defends itself from scrutiny. Keep on playing the terrorist-naming game and the Zionists win. GAZA: MP Jamal Al-Khudari, the head of the popular committee against the siege, has said that the Israeli occupation authority (IOA) was still barring the entry of 3500 commodities into the Gaza Strip. He said in a report published on Sunday that the IOA allowed only 10% of goods that were previously banned from entering Gaza, describing the IOA talk about easing the siege as mere propaganda and means to deceive the world and is contrary to what is happening on the ground. The lawmaker noted that in the first week the IOA opened two commercial crossings out of four, which were all completely closed, then it opened one crossing for a couple of days while the fourth was only partially opened. There is no real end to the siege without opening all commercial crossings on permanent basis, allowing influx of all types of goods, opening a safe passage between Gaza and the West Bank, and finally allowing a sea route between Gaza and the outside world under European supervision, Khudari elaborated. He championed continued pressure on the IOA to achieve those goals, asking the UN Secretary General and UNRWA to continue pressuring the IOA until the siege is totally lifted. Meanwhile, a delegation of Lebanese doctors arrived in the Gaza Strip on Sunday in a show of solidarity with the besieged people of Gaza. The crossings and borders authority said in a statement that the 8 Lebanese doctors would remain in Gaza till next Thursday and might operate on a number of patients. Bethlehem – Ten families in the Jordan Valley were handed home demolition orders on Sunday and given 24 hours to evacuate their lands. Most of the homes to be demolished belong to the Daraghmah and Al-Makahmreh families, who say they have documents proving their ownership of the land filed with Israel’s Land Registry. The families said they had been issued demolition orders before, however this was the first time they had been given a 24-hour notice. The homes slated for demolition are in Al-Farsieyah in the Tubas municipality, all in “Area C”, under zoning regulations established under the Oslo Accords, putting them under Israeli civil and military control. 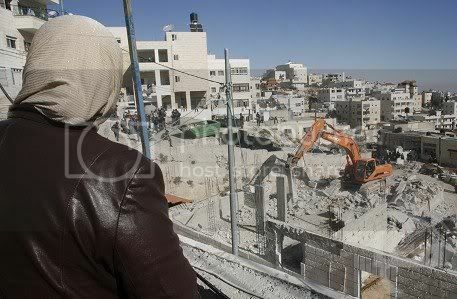 Several villages in Tubas have been targeted by home demolition orders in recent days. Six families in the villages of Al-Hadidiya and Khirbet Humsa were given 10 days to evacuate their land on 21 June, a move which would see 50 Palestinians homeless and without their livelihoods. So far this year, 125 Palestinians have been displaced by home demolitions in “Area C”, which encompasses 60 percent of the West Bank and is under full Israeli military and administrative control, according to UN reports. Palestinians can only build within boundaries specified by the Israeli Civil Administration, the UN Office for the Coordination of Humanitarian Affairs has noted, an area that constitutes less than one percent of “Area C”, and much of this is already built up. Effectively, “in almost the entirety of the Jordan Valley, Palestinian construction is prohibited,” a UN office reported in December 2009. Last year, at least 600 Palestinians, half of them children, were made homeless by home demolition orders, the report said. Building settlements in the occupied east Jerusalem neighborhood of Sheikh Jarrah began Sunday, just a few days before Israeli Prime Minister Benjamin Netanyahu was scheduled to meet with the US president. The controversial construction plans, set at the site of the Shepherd Hotel, surfaced on the eve of Netanyahu’s previous meeting with Barack Obama three months ago, embarrassing the Israeli government. Channel 10 reported Sunday that bulldozers had already arrived at the site, intended for 20 new Israeli homes. Netanyahu has much to account for during his meeting with Obama, with occupied Jerusalem Mayor Nir Barkat’s controversial so-called ‘King’s Garden’ plan in Silwan. The plan orders the razing of 22 Palestinian homes. A number of officials, including Israeli Defense Minister Ehud Barak, have claimed the Sheikh Jarrah and Silwan construction plans were purposefully promoted at sensitive times by extreme rightists hoping to embarrass the Israeli prime minister.